We’ve all done things we regret, but one fan of the ‘90s emo band Jawbreaker felt so bad about selling some of their bootlegs on eBay that he decided to pay them back—with interest—15 years later. At least that’s the story we can glean from this photo posted on Jawbreaker’s official Facebook page. The photo, for anyone who doesn’t feel like clicking the link or scrolling down, is of a typed message that Jawbreaker’s Adam Pfahler received in an envelope with no return address. 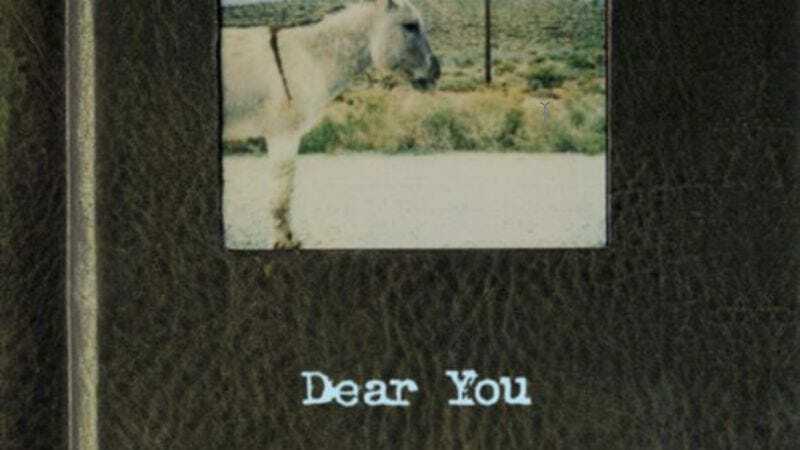 The letter—which oddly doesn’t begin with “Dear you”—is from a guy who says he made “approximately $600” off of Jawbreaker b-side CDs he sold on eBay “about 15 years ago” before the band sent him a cease and desist letter. The writer says he was “an aimless, desperate, naive, dumb kid” who “didn’t realize” how much of an impact Jawbreaker’s music would have on him as he got older. He says he believes in karma, so he included a check for $1,800 as his “most sincere apology,” adding that he doesn’t think he’d be alive today if not for the band and its music. For those keeping score, that $1,800 is the amount of money he made off of the eBay sales with an extra $80 thrown in for every year since all of this happened. He didn’t include a name or anything (as far as we know), so it really seems like he did this out of his love for Jawbreaker and not a weirdly expensive way to get attention. Either way, it sure makes wearing your favorite band’s t-shirt look really lazy.